Hey everybody! I hope everyone is doing well so far this week. I can tell you that I am excited that it is almost the weekend. We have a ton to celebrate which means a lot of picture taking! Have you seen the Buffet this month? It is the designers choice this month and you can find kits for road trips, adventures, cars and more. The designers have done a beautiful job with the color palette this month. Take a peak at all of the different packs that are available. You can find them here https://store.gingerscraps.net/July-2013-Buffet/. You don’t want to miss the NEW Designer Spotlight challenge. 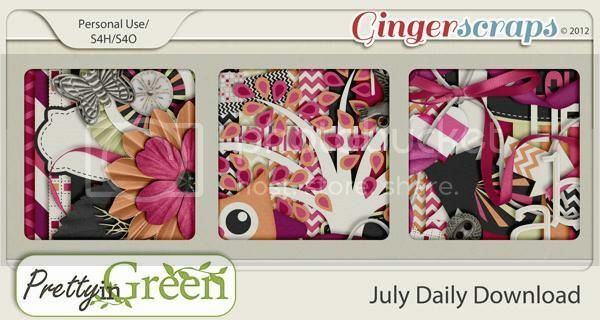 You can find all the info right here https://forums.gingerscraps.net/showthread.php?22542-*NEW*-Designer-Spotlight-Challenge!-July-2013. It is such a fantastic addition to the challenges. Make sure you keep your eyes open this coming up week for a special announcement. I’m so excited about this I just can’t tell you! Oh, and don’t miss the Inspired Designs sale! Everything in her store is 50% off. WOOHOO!!! I hope you have a wonderful rest of the week and I will be back next week with all the new goodies! !